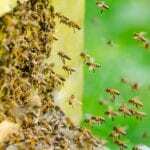 Did you make an investment in creating an amazing outdoor living space that you cannot enjoy as much as you hoped because of stinging insects? Do you have an outdoor break area for your employees but they won’t use it because there are always bees, wasps, and other pests hanging around? Whether you are having difficulty with stinging insects at home or at your business, we’re here to help. 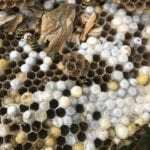 At Florida Bee Removal we offer removal services for bees, wasps, yellow jackets, hornets, and more. 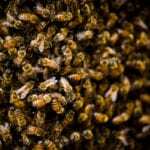 We were the first in Florida to offer bee removal services statewide, and over the course of more than 57 years, we’ve trained other companies to do the same. 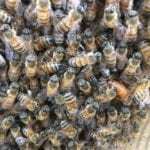 When only the best will do to protect your property and the people on it from stinging insects, turn to our experienced team. We are not only extensively trained, but also receive continuous training through workshops and seminars, so we stay on top of the latest developments in the field. If you are experiencing more than your share of stinging insects at your Lakeland, Florida home or business, call to schedule a free assessment and receive a detailed plan on what we can do to eliminate your problem. We’ll be happy to answer any questions you may have and discuss our written guarantees and warranties related to the removal of stinging insects. We are fully insured and licensed for your protection, and you can be confident that all estimates are accurately prepared. Call today to learn more.